We are dedicated to creating safe and functional spaces for your home. With Independence by Design from DreamMaker Bath & Kitchen, you can unwind in a home that is not only a reflection of you, but also a reflection of your lifestyle. Our design professionals create safe and independent living environments while fulfilling your individual needs — all with top-quality products and professionals you can trust. Each DreamMaker Bath & Kitchen franchise is independently owned and operated. Some services may vary depending on specific location and management. There are many ways to help keep you and your family members independent, and this is one option that has a limitless amount of possibilities. Visit Your Local Design Center to hear about the many products and services we offer to help create safe, independent living situations. 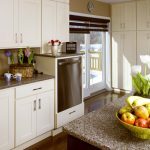 DreamMaker remodeling experts are here to help you or a loved one achieve the highest level of living no matter the budget or the request. This will allow you or a loved one to stay in your home through all seasons of life. You also can accommodate guests who may have special mobility needs or small children who love flickering the light switches. Choosing a universal kitchen creates a safe environment that accommodates all in a comfortable yet stylish fashion. 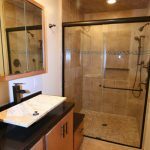 DreamMaker utilizes the most up-to-date equipment and materials such as: zero-barrier showers, walk-in tubs and shower chairs to help create a universal designed bathroom. 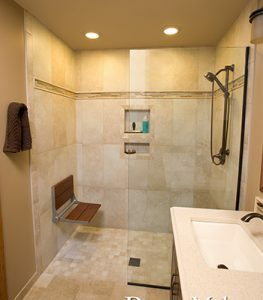 Our franchises are ready to add them, giving you peace of mind and ease when using your updated bathroom. Lift systems are a great way to increase mobility within a multi-level home. They can ensure you or your loved one in a wheelchair can move with ease between floors. Others may be mobile but find taking the stairs a nearly impossible task. They, too, will be able to move between floors with ease. 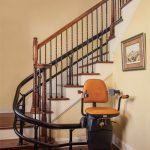 Installing a stair lift enables a person to sit down in a chair to be transported to the top of the stairs making a nearly impossible task menial. You or your loved one will be able to access all parts of the house with little to no help allowing you or your loved one to maintain their independent living style. These lift systems are not limited to the indoors. They can also be located outside by the pool or hot tub to help with getting in and out whether it be for recreational use or therapy. The remodeling experts in our DreamMaker franchises pride themselves on using quality equipment and materials to ensure your safety when using the lift system that best fits your needs. A well-built ramp can help you or your family members gain easy access to your home inside or outside. The ramp is designed for functionality and safety of the user. DreamMaker Bath & Kitchen franchises use quality materials and equipment you can trust while creating the perfect ramp. A DreamMaker remodeling expert can install ramps within the home or outside of the home. They can be customized to your liking, based on your home’s aesthetic and personal needs. Our franchisees will create what you need to ensure you can maintain your active, independent lifestyle. The DreamMaker design team at each franchise will make sure the ramp is easily maneuverable and is up to code, giving you peace of mind every time you use the ramp. Let your Local DreamMaker Experts design and build a ramp for easy access into your home and from room to room inside your home.